Blog Post - Do you plan to add Smart Tech to your home? Install smoke and carbon monoxide detectors. Providing peace of mind, smart detectors can send alerts to your phone and even tell you when the battery is running low. Add warm glow smart lightbulbs. By swapping out old lightbulbs with smart LEDs connected to a control hub you can control your lighting over the internet. Turn your lighting on (or off) before you arrive home and change the mood by changing the brightness and even colour of the lighting. Keyless locks and video doorbells. Improve the security of your property with smart door locks that use smartphone apps, key cards and tags to provide bank level encryption, PIN code access to your property and next generation video doorbells to enable you to see, hear and speak to anyone at your door from a smartphone, tablet or PC. Wherever you are, in the UK and abroad. Introduce hubs and controllers. 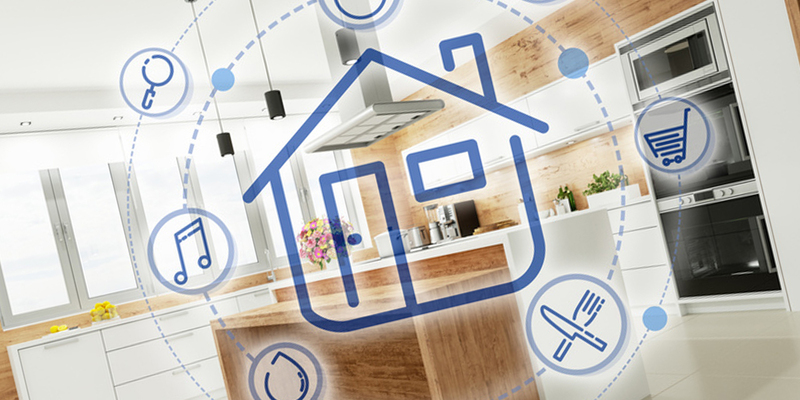 There are a growing number of smart home product categories enabling you to control everything from lights and temperature, to locks and security in your home. Devices such as Amazon’s Alexa work with a number of smart devices directly and via ‘recipes’ (using If This Then That; IFTTT) enable you to voice control gadgets around your home. In addition to making life easier, smart tech can save you money, improve your home’s efficiency and add major value for home resale or let. It will also help you appeal to the fastest growing, largest potential audience for your property; Millennials. If you need any help or advise about moving home, contact us today.